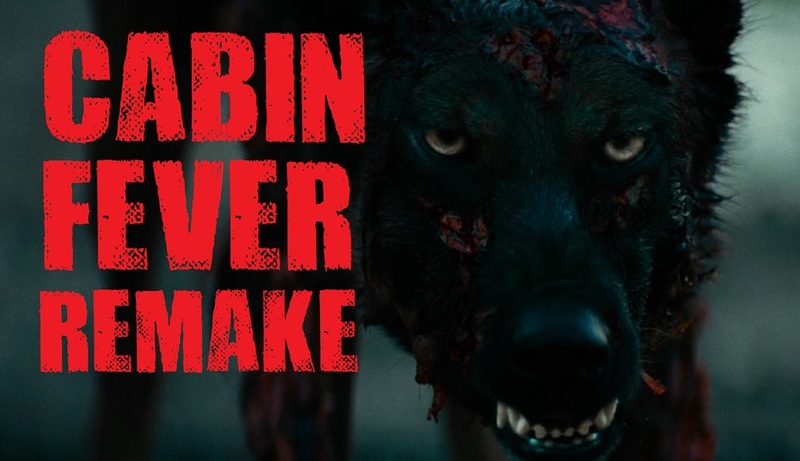 The Cabin Fever remake was not a big secret and now we have our first official trailer. IFC Midnight is behind the new Cabin Fever, which is a remake shot using the original Cabin Fever screenplay by Eli Roth & Randy Pearlstein. The film was produced by Evan Astrowsky, Christopher Lemole and Tim Zajaros, and was executive produced by Roth, Cassian Elwes, Jerry Fruchtman, Peter Fruchtman and Ike and Jaclyn Suri. College friends Paul, Karen, Bert, Marcy and Jeff rent an isolated cabin in the woods to spend a week together. When they arrive, a man contaminated with a weird disease asks for help to them, but they get in panic and burn the man, who falls in the water reservoir and dies. The whole group, except Karen, makes a pact of drinking only beer along the week without knowing where the dead body is. When Karen drinks tap water and gets the disease, the group begins their journey to hell. The Cabin Fever remake will be released on Digital HD February 12, 2016.